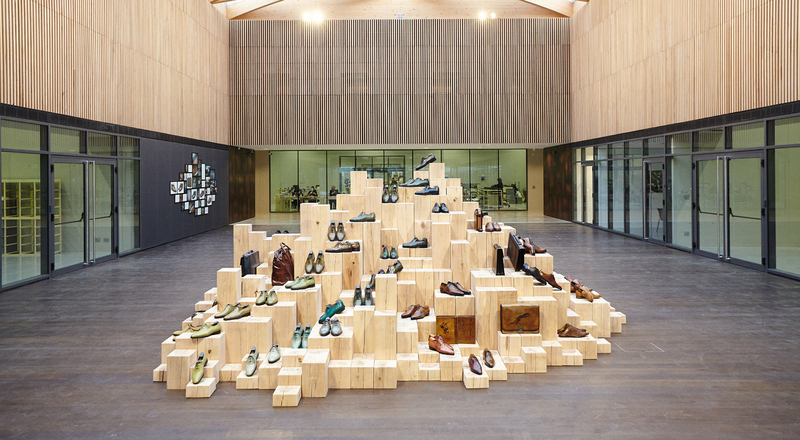 Berluti recently inaugurated a new shoes and leather goods workshop in Ferrare, in Northern Italy. Spanning over 8,000 square meters, the new facility will accommodate the company’s growth. Berluti has had manufacturing operations in Ferrare since 1993, in the heart of a region renowned for exquisite leatherworking craftsmanship. 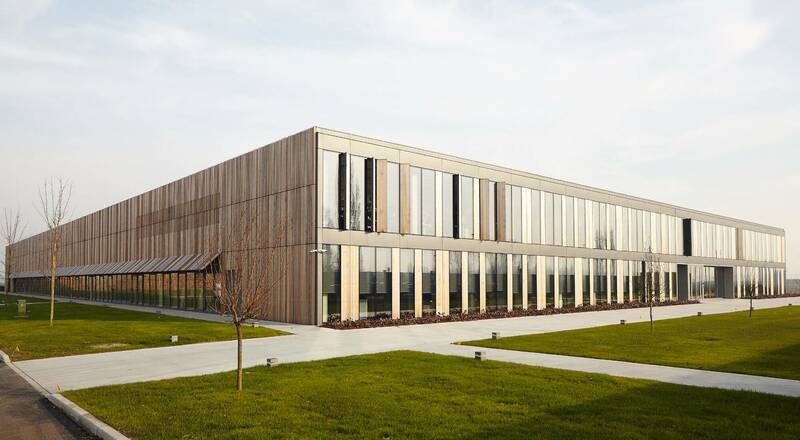 The new workshop will accommodate the international expansion of the House, doubling the number of artisans while at the same time totally rethinking the production ecosystem for Berluti’s shoes and leather goods. Designed by the Barthélémy Griño architecture firm, the building itself is a metaphor for the company. The overall dimensions are proportional to those of a shoebox, a perfect rectangle given movement by wood and glass sequences. The natural red cedarwood used for the exterior will take on a deep patina with age, just like a fine leather, while the beech employed for the ceilings evokes the wood of shoe lasts.Large bay windows and raw concrete strike the same delicate balance between solidity and lightness that characterizes Berluti shoes, while the criss-crossed ceiling beams in the central atrium simulate shoelaces. Designed to be as environmentally neutral as possible, the building is equipped with a natural ventilation system and makes maximum use of natural daylight. Electricity is generated from solar panels. Artisanal craftsmanship has pride of place in all the work areas. The different workshops are organized by métier, with one open-space area for cutting, another for assembly and a third for applying the signature Berluti patina to the leathers. The “Manifattura” can thus produce all the pieces designed by the creative studio in Paris and adapted by the manufacturing design office situated at the front of the building. This organization brings together all the different manufacturing steps at a single site, ensuring efficient production flows and optimal working conditions for artisans. To preserve its traditional skills and take advantage of the exceptional working conditions provided by this new workshop, Berluti has also made it the home of the Académie Berluti du Savoir-Faire. Since 2012, this program has enabled 138 students to earn degrees, and 99 of them have joined Berluti workshops.